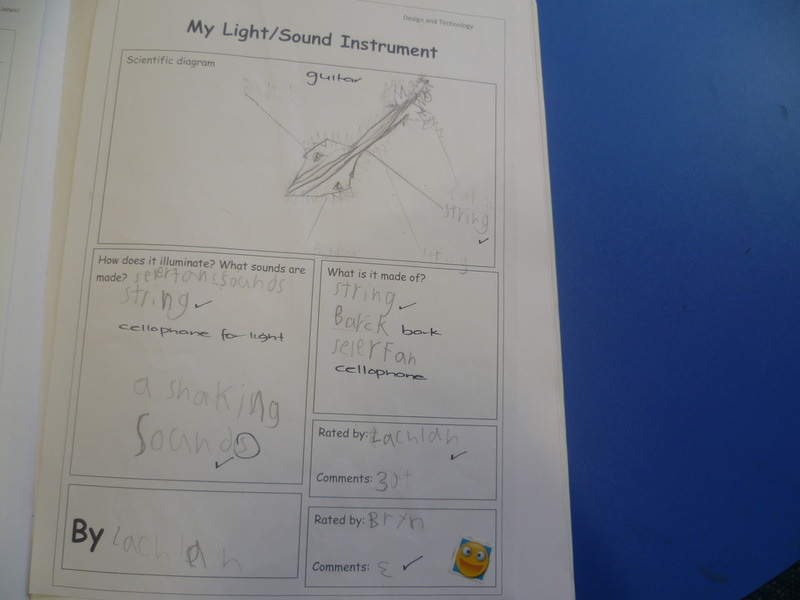 This term's focus is 'light and sound'. 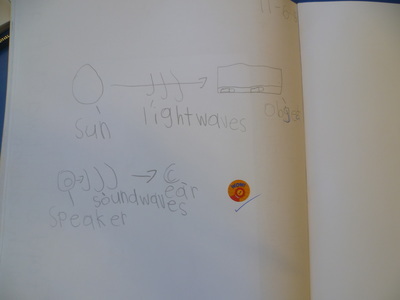 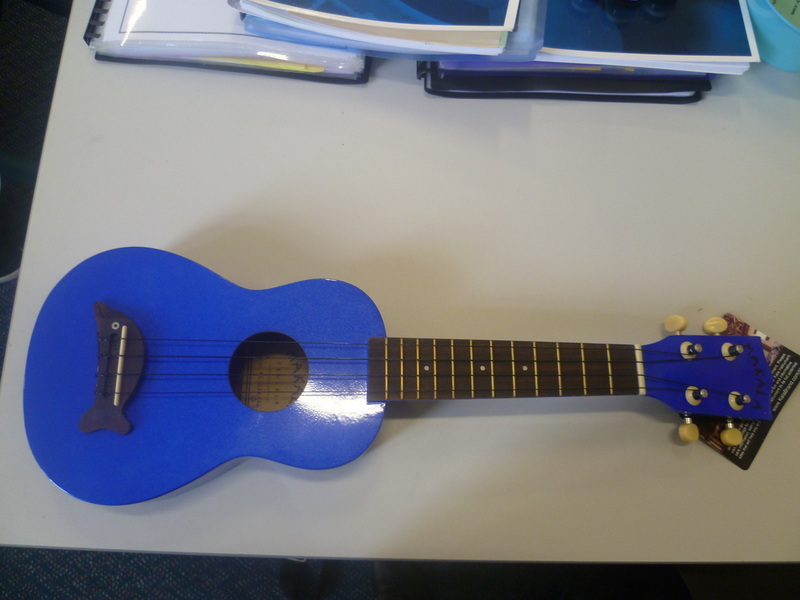 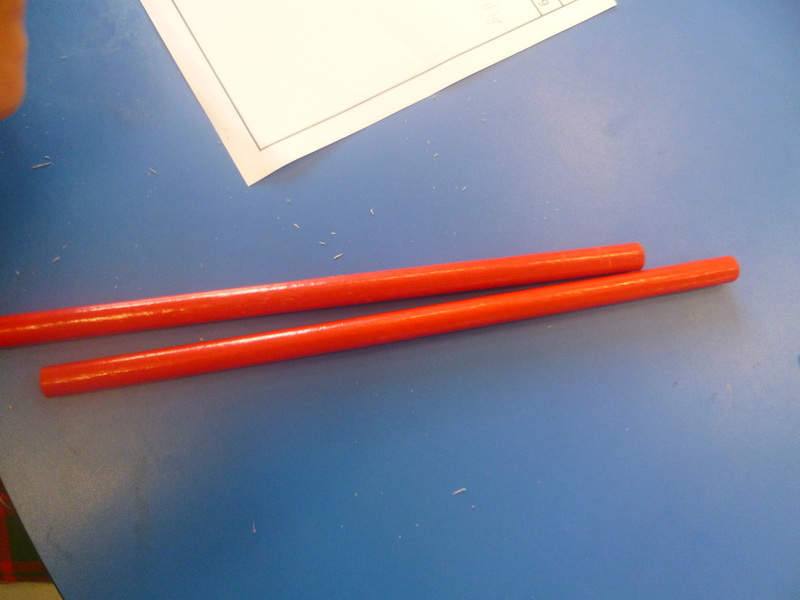 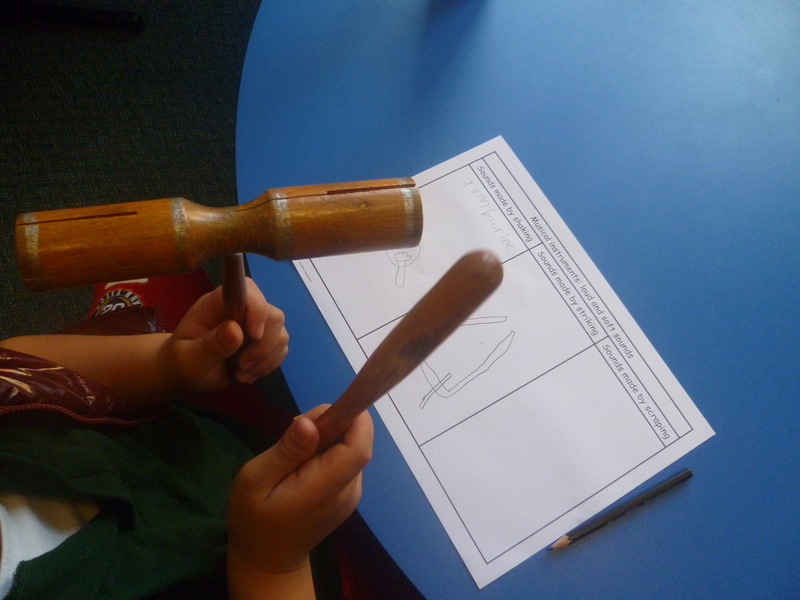 Week 1: The year 1 students listened to a story and identified objects in the story that produce light and sound. They also worked in groups creating cubby houses with tables and blankets. 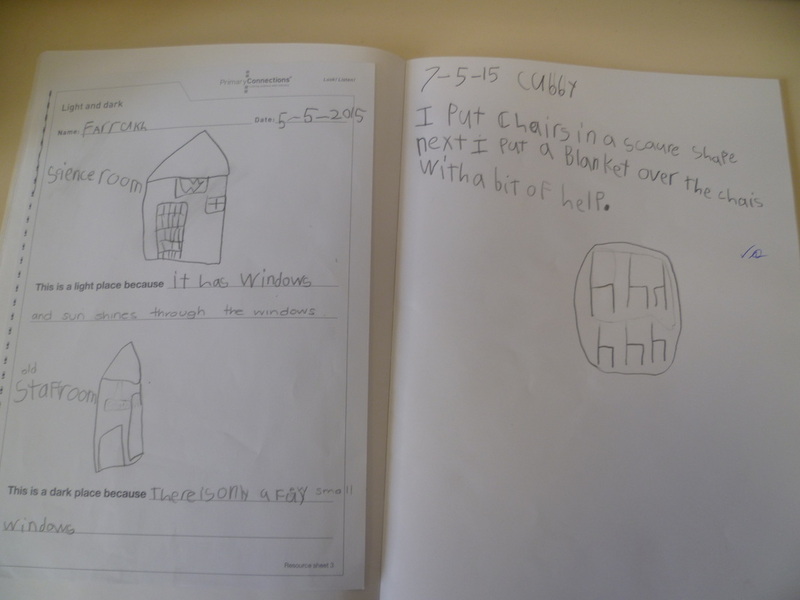 In the cubbies it was very dark. How did they manage to see? 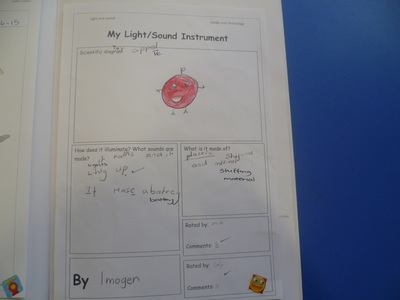 Home investigation: The year 1 students investigated what produced light and sound at home! Week 4: The year 1 students created their own peek box. 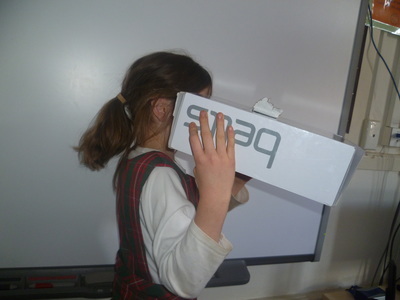 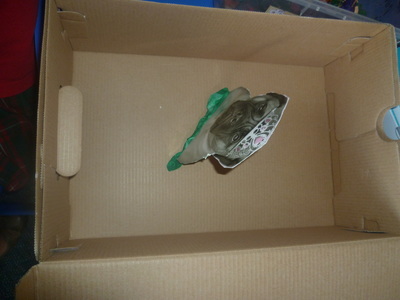 A peek box is a shoe box with a hole at one end for peeking through. 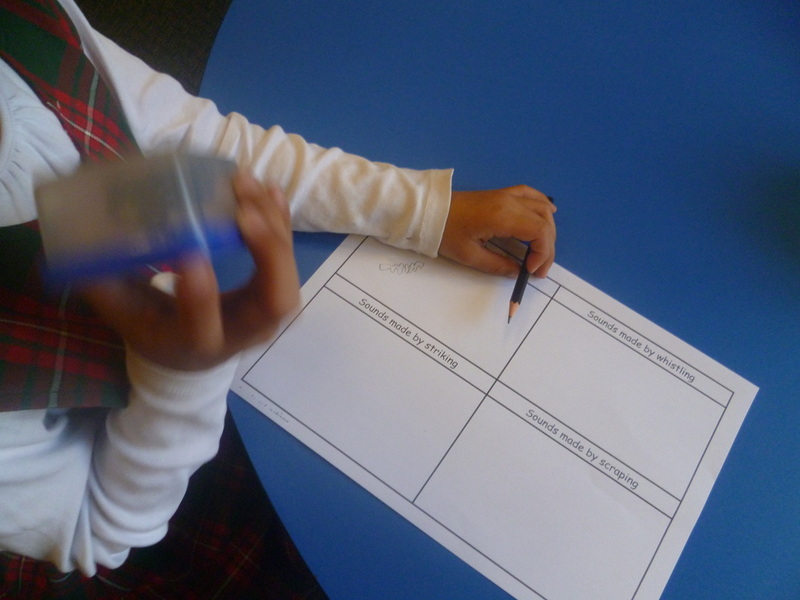 Each student fixed a standing picture in the middle of their peek box. 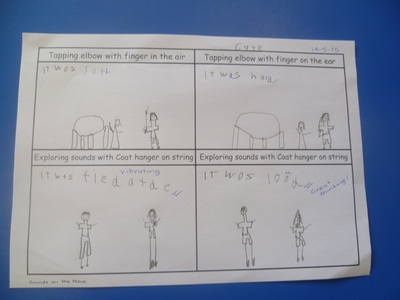 How can they see it? 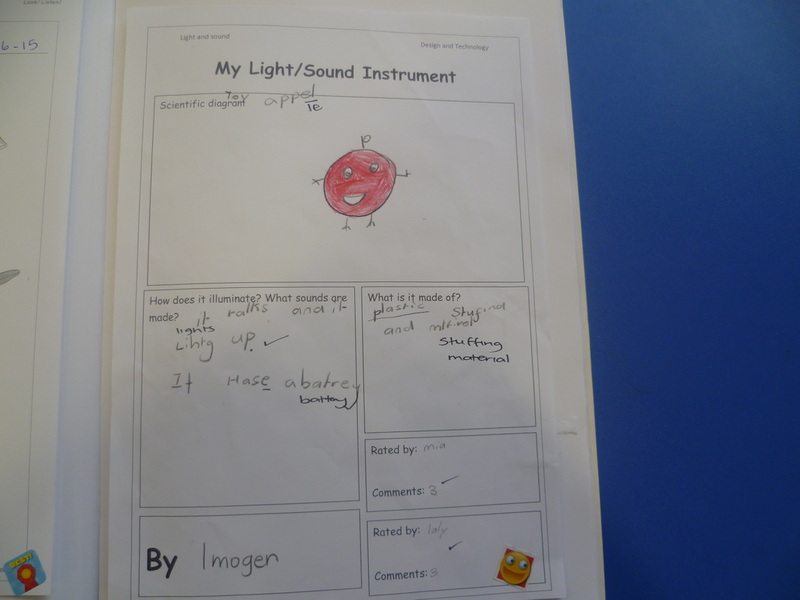 It's so dark! 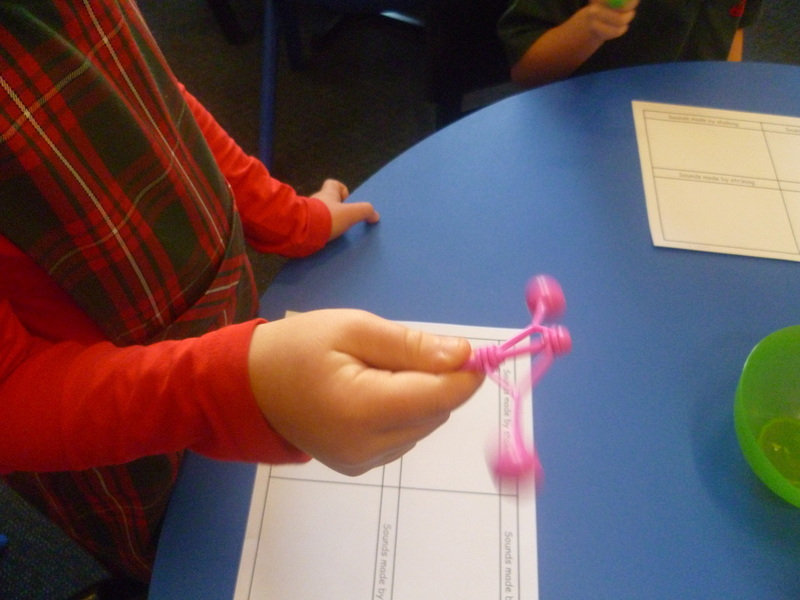 Week 5: The year 1 students worked in small groups, rotating stations, investigating what actions some toys needed to produce a sound. 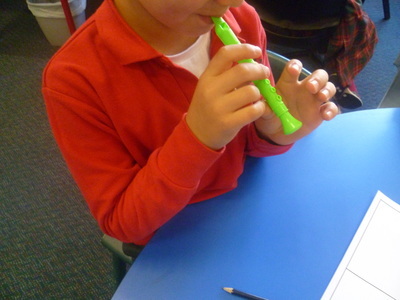 These toys included whistles, maracas, clappers, containers and metal spoons, chops sticks and corrugated cardboard, and rice/pasta shells/cloves in containers. 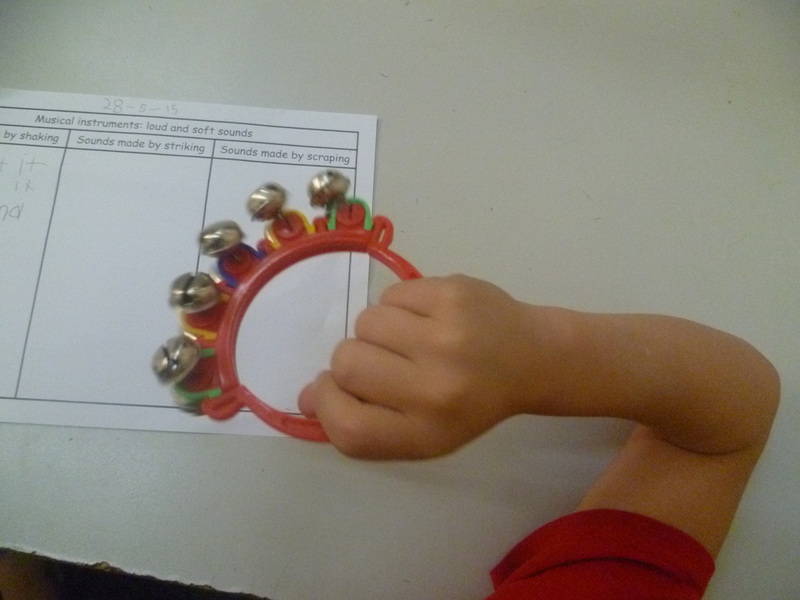 Then similarly, in small groups and rotating stations, they investigated what actions some percussion instruments needed to produce a sound and how these sounds could be played softly or loudly. 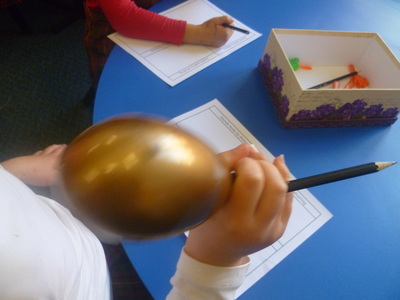 These instruments included maracas, triangles, 2 tone blocks, rhythm sticks, tambourines and bells. 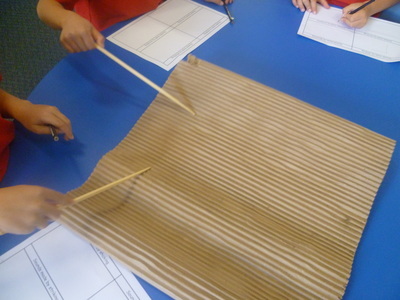 Week 6: The year 1 students investigated pitch using xylophones. 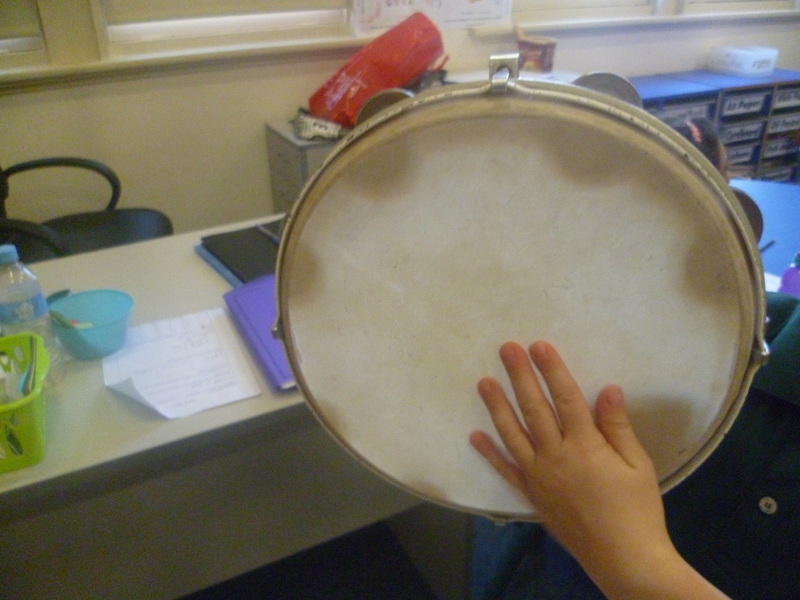 In small groups, the students trialled and created their own musical pattern identifying low and high sounds. 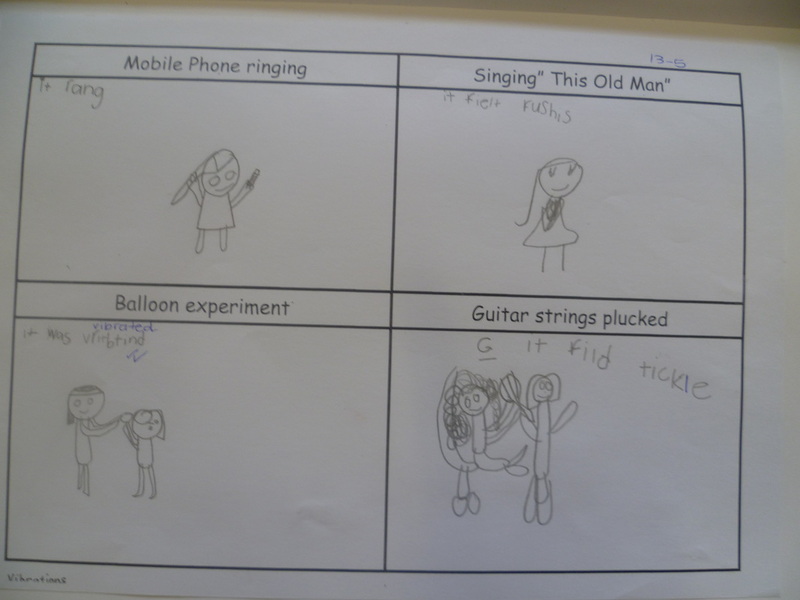 They shared their tunes to the class. 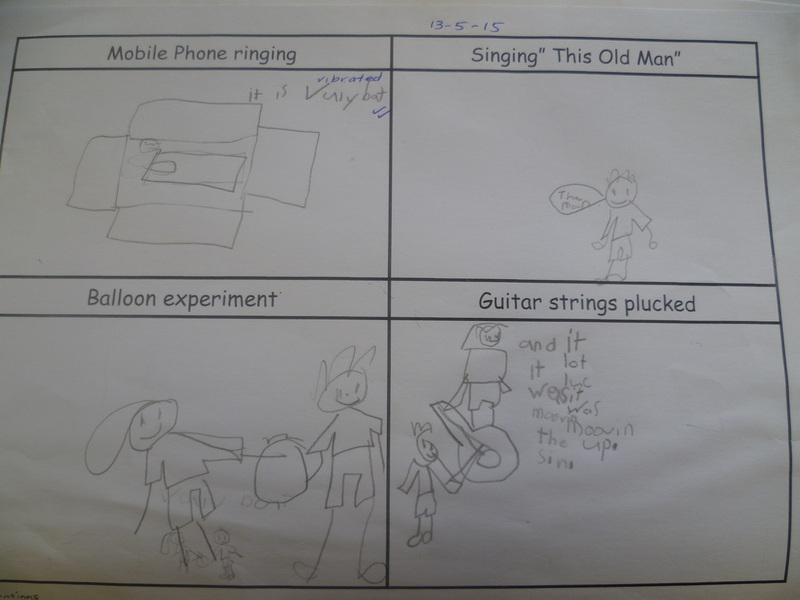 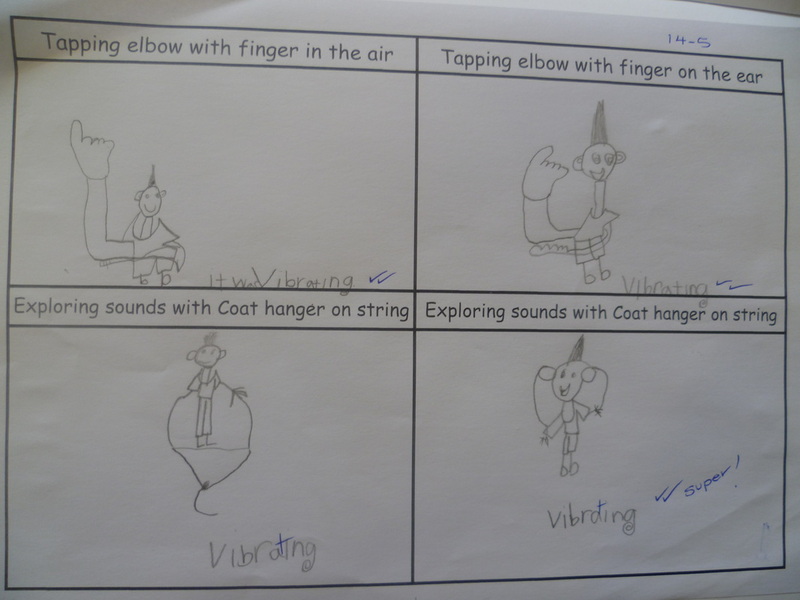 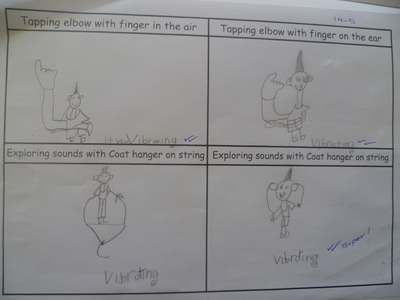 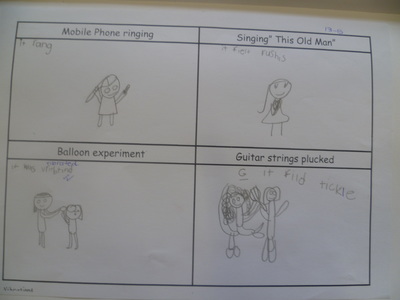 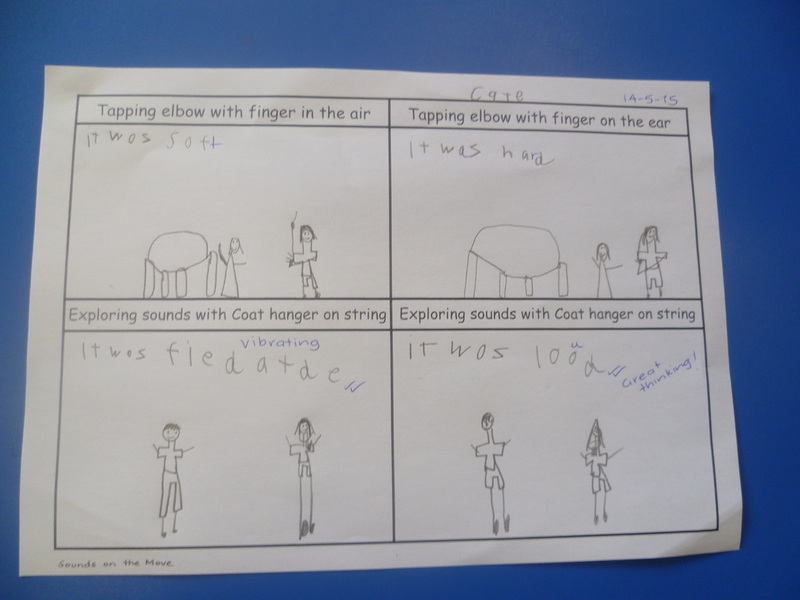 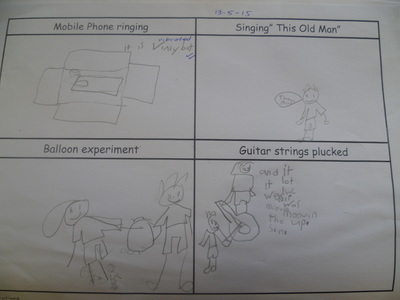 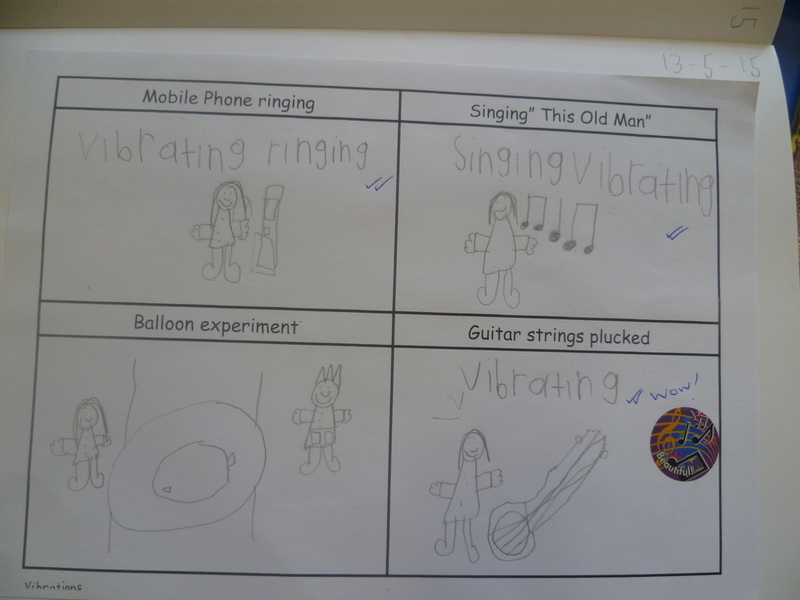 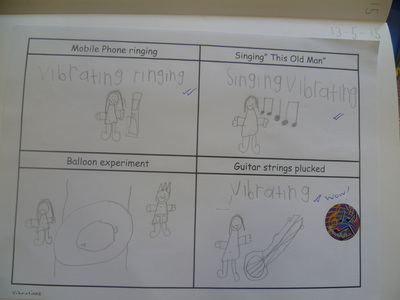 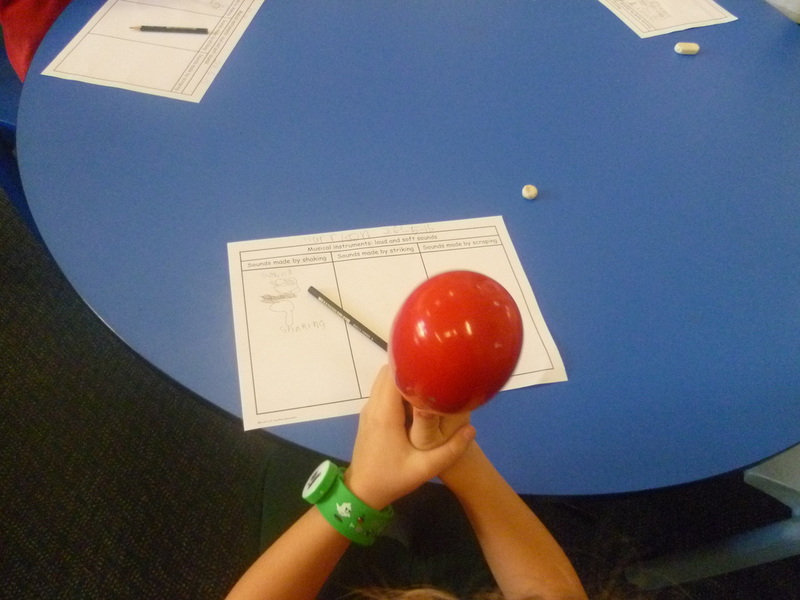 The year 1 students investigated how the ear works. 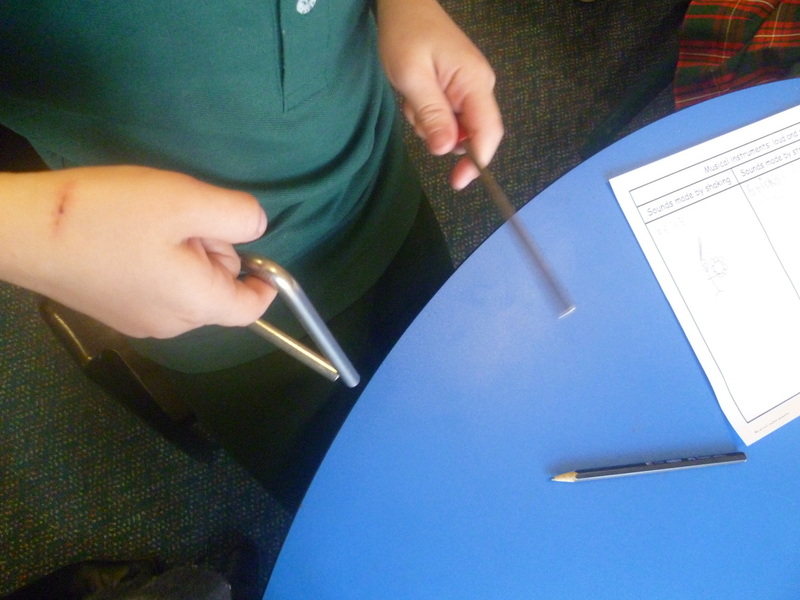 Did you know the smallest bone in the human body is found in the ear? 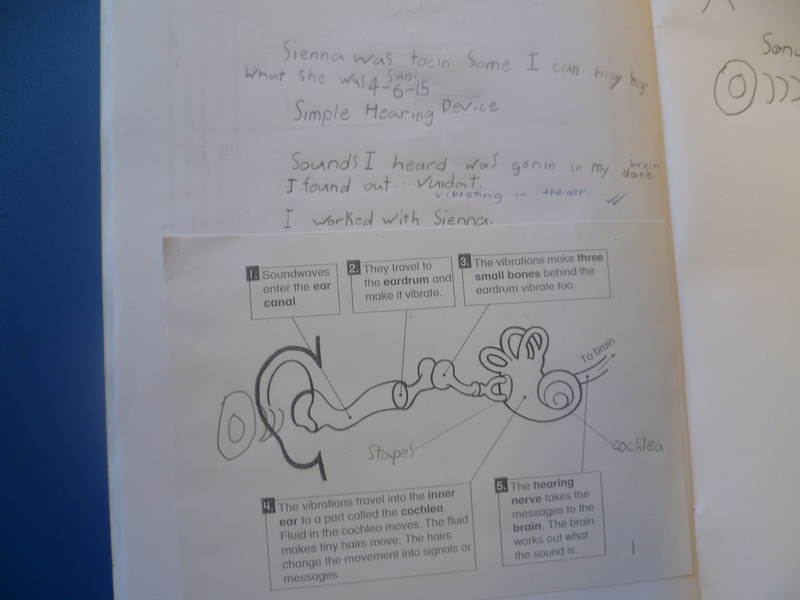 In pairs, students created and experimented with a hearing aid device. 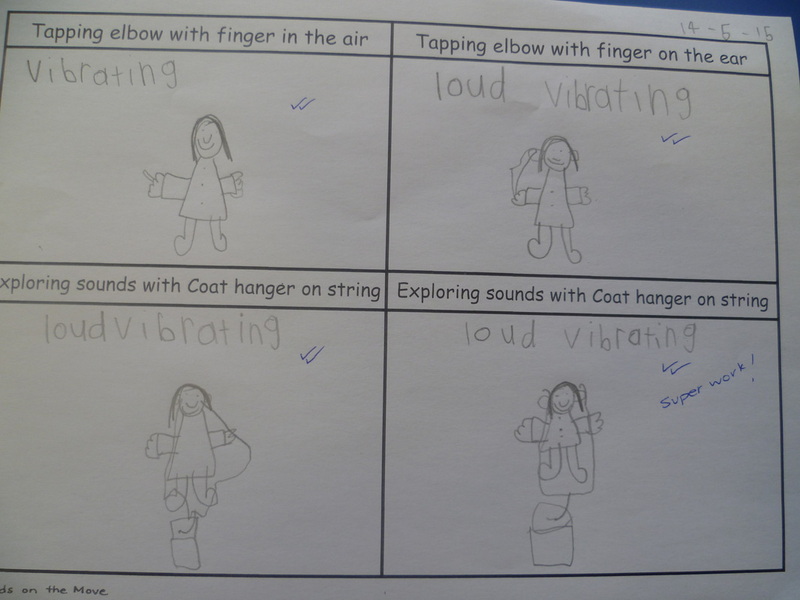 Did this help them hear things easier? 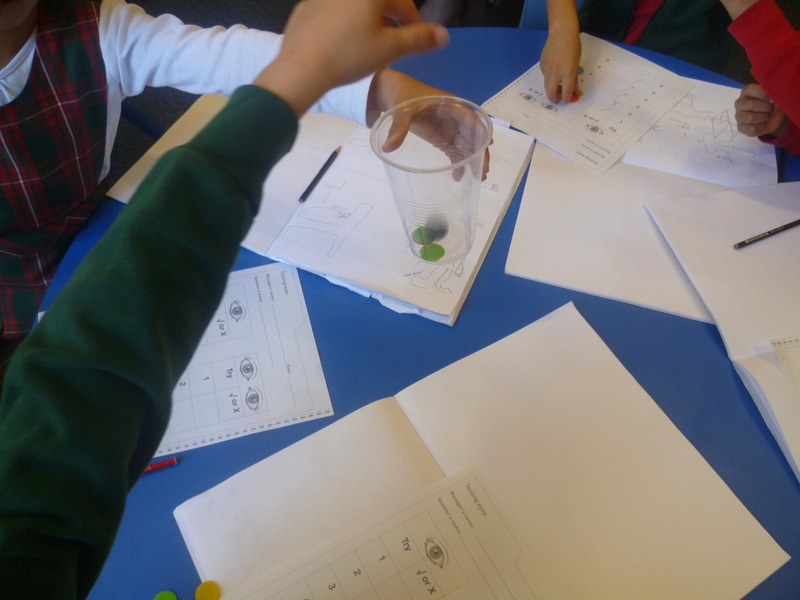 In pairs, the year 1 students played the cup and coin game. 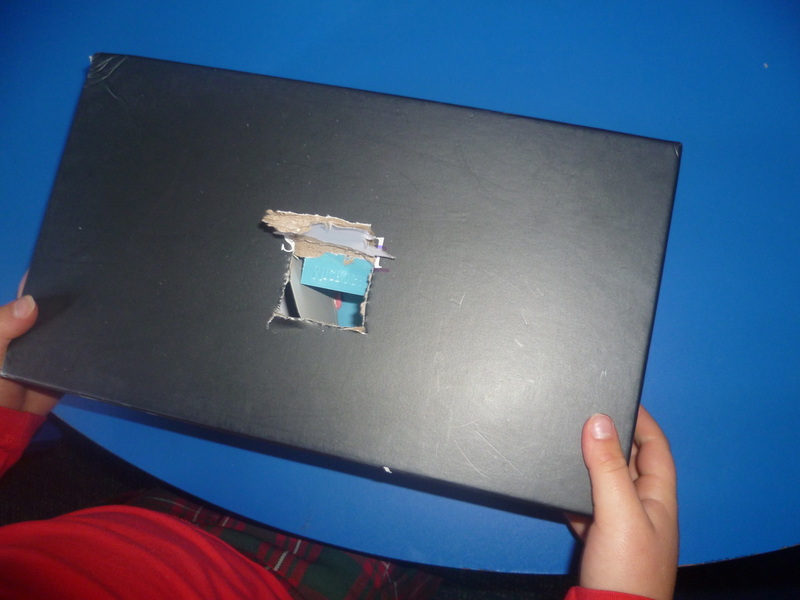 A student dropped one counter in a cup covering one eye. Then with 2 eyes. 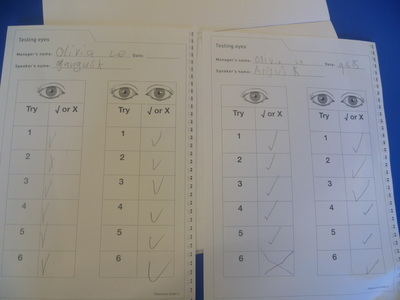 Students trialled this six times each and recorded their results. What difference did they find between using 2 eyes and using one eye? 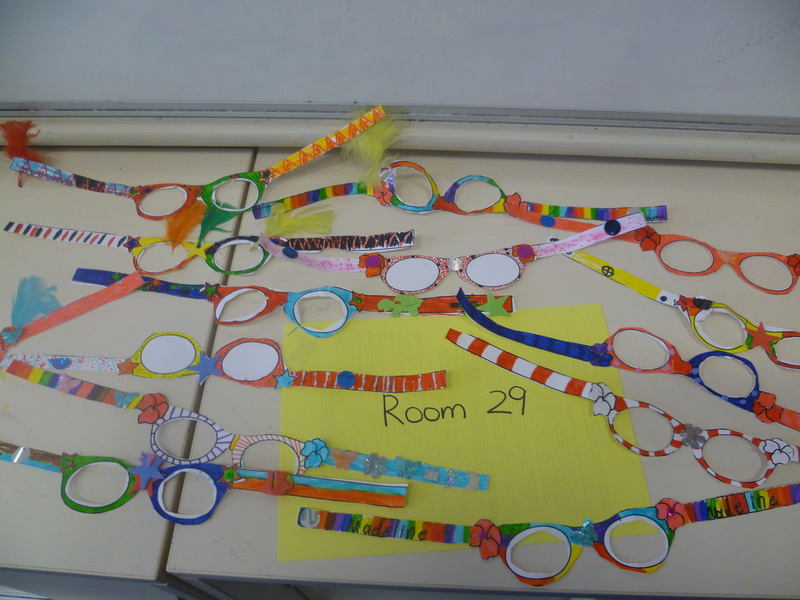 How does 2 eyes help us see? 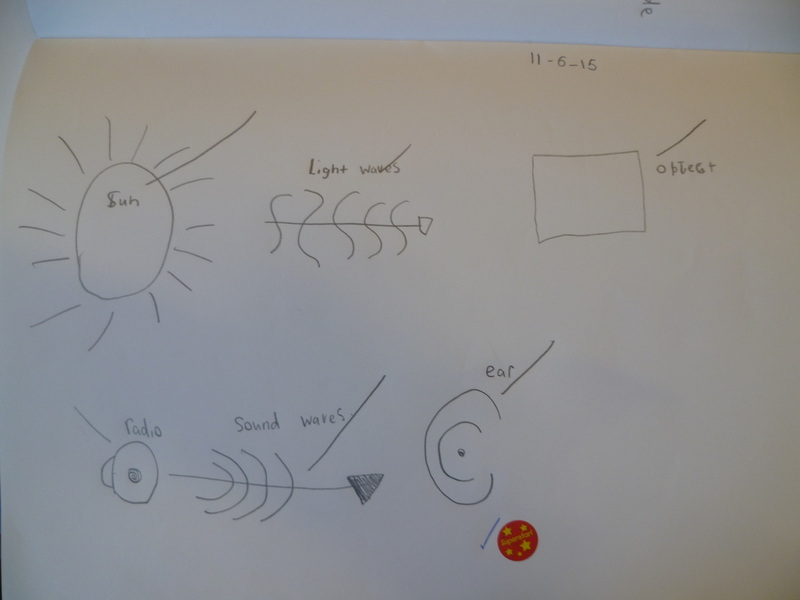 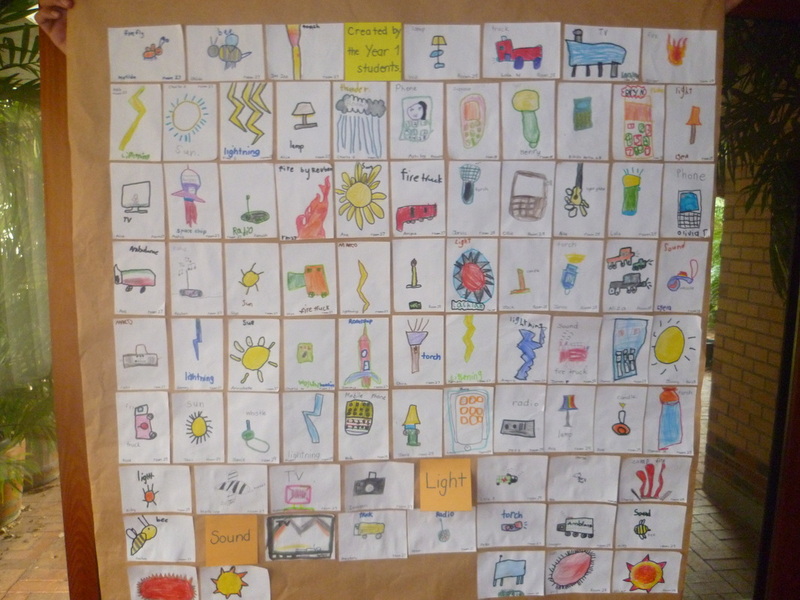 Week 8: The year 1 students were given a variety of pictures and they then identified the things that produced sound and light. 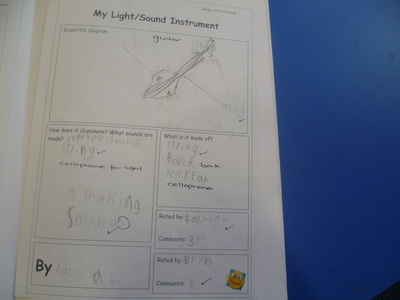 The year 1 students designed their own sound/light inventions. Students then had to explain how their creation worked to others and then get a rating. 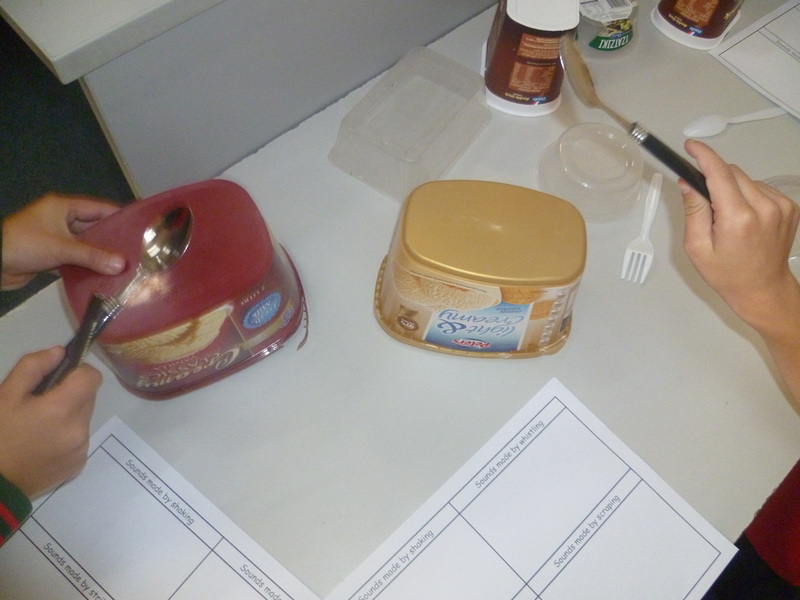 A 3 star rating = an out of this world invention! 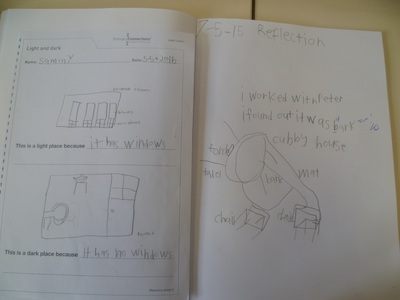 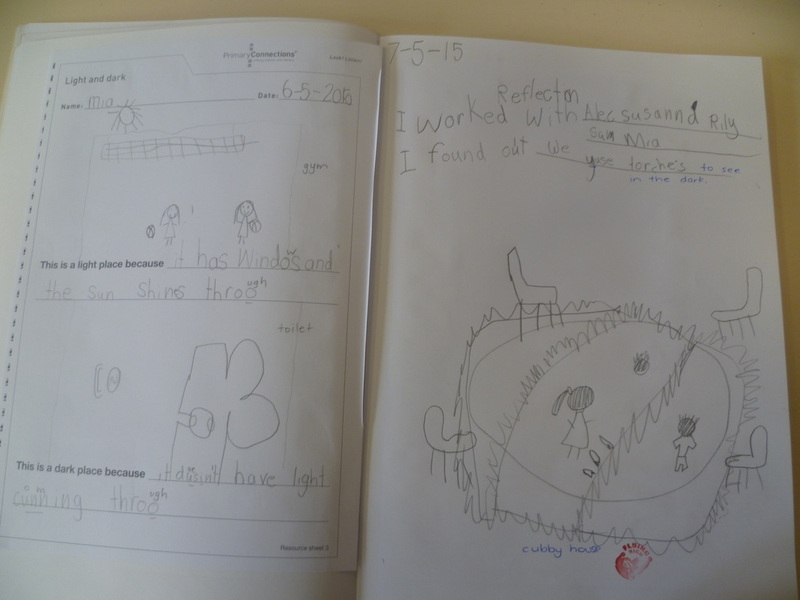 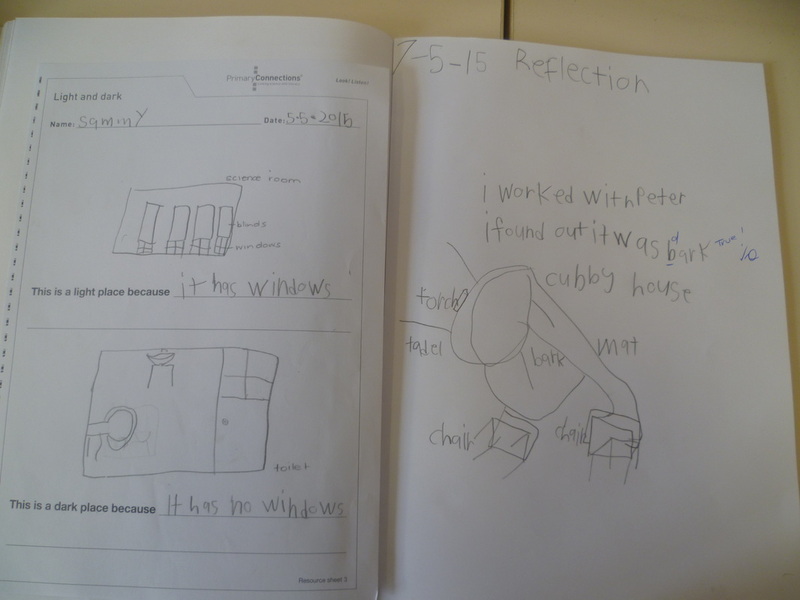 Week 9: The year 1 students reviewed the term's inquiry and reflected on their learning. 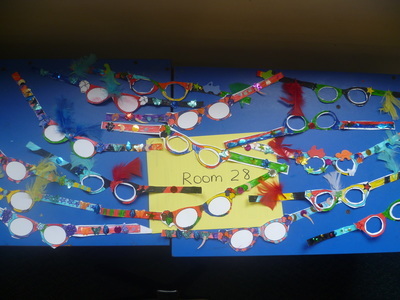 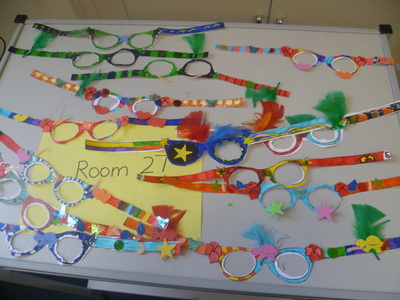 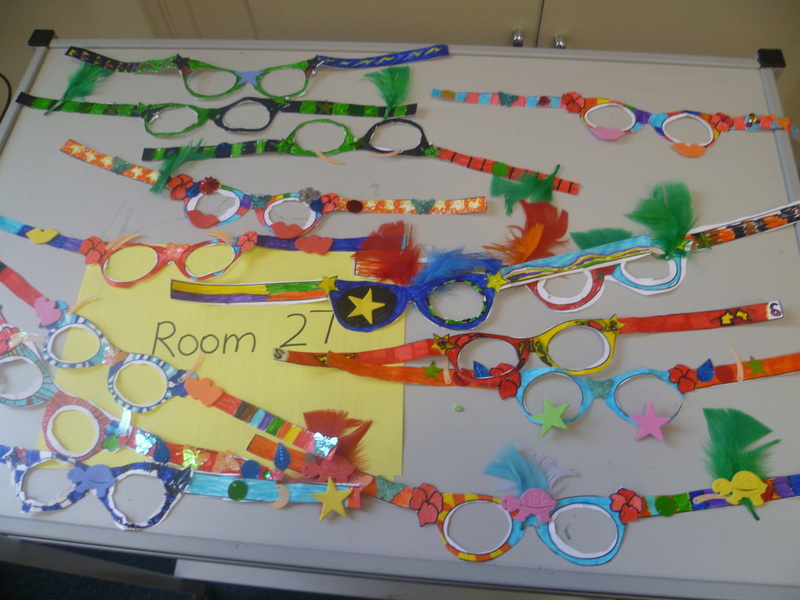 Then each student created their own pair of funky glasses. All year 1 students contributed to the "Light and Sound" poster. 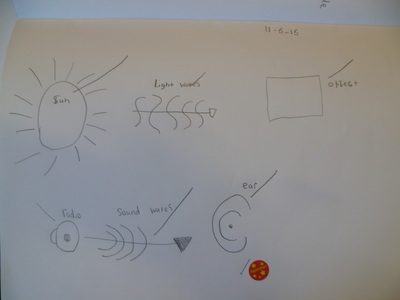 Week 10: Room 29 were fortunate to have a special guest speaker, Rob Howat, an electrician, come and talk to them about electricity and light. 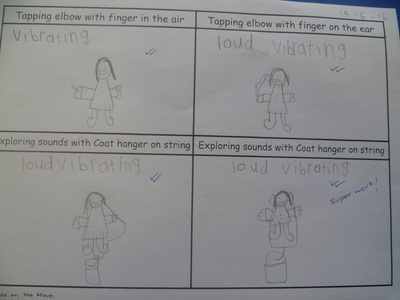 Thanks Rob. It was great of you to come and share your valuable knowledge to the class.